We are pleased to announce that equity crowdfunders who invested seed capital in E-Car Club via the platform are today to receive a full exit from their investment. See infographic - The pitch, return, investment and exit stats. 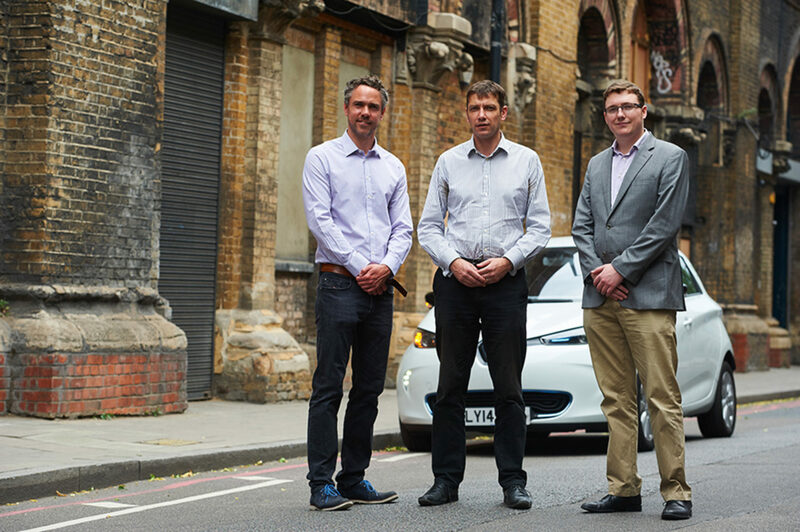 In a worldwide first, 63 investors helped E-Car Club, the UK’s first entirely electric car sharing club for businesses and communities, to raise £100,000 in 2013 are to be given a multiple return on their investment following the sale of the business to Europcar. Europe’s leading car rental and mobility company. E-Car Club was founded by social entrepreneurs Chris Morris and Andrew Wordsworth as a start-up in 2011. E-Car was one of first companies to seek equity capital via Crowdcube where its business model combined with its social purpose appealed strongly to investors. The company combines the increasing popularity of pay-per-use car clubs as an attractive, affordable alternative to traditional car ownership, with the improved performance and reduced price of electric vehicles. E-Car Club works closely with councils, social landlords and community group partners to deliver improved economic, social and environmental outcomes for local residents. Following its fundraising on Crowdcube, E-Car Club went on to raise further growth capital via a group of socially minded investors, some of which included the original crowd investors, before securing institutional investment through Ignite Social Enterprise LLC, the UK’s first social impact fund specifically targeting energy related ventures, backed by Centrica Plc. Many investors in E-Car Club have gone on to invest in other businesses seeking growth capital via Crowdcube such as Powervault, an electricity storage device to capture solar power, which raised £150,000 and £700,000 in 2014 and 2015 respectively. Powervault, like E-Car Club was launched by Andrew Wordsworth via his Sustainable Venture Development Partners (“Sustainable Ventures”) vehicle works with investors, entrepreneurial managers and corporate partners to originate, build and grow businesses in the low carbon and sustainability sectors. Investing in early-stage businesses is risky but it can also be very lucrative if you diversify judiciously. E-Car Club, whose crowd investors included business owners, serial investors and senior directors at global banks as well as everyday investors, is a great example of how our investor community is sophisticated and understands the importance of diversification having made an average of 12 investments each on Crowdcube. As crowdfunding becomes mainstream it’s now commonplace for people to invest on Crowdcube alongside world-renowned venture capital firms, acclaimed angel investors, institutions and even the UK Government. If you missed out on this investment opportunity why not take a look at some of the businesses currently pitching for your investment? You can view the full list of live investment opportunities here.